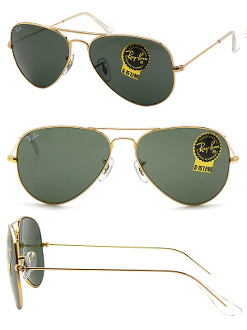 Classic Ray Ban Aviator. Gold metal frame with classic crystal green lenses. 58_14_135. Available in our Optical Shop.